What is a Birth Chart? 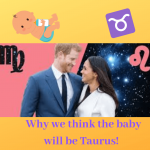 Royal Baby – Aries or Taurus? Welcome to our Blog. Here you'll find some thought-provoking insights, light-hearted musings plus the Astrological low-down on well-known public figures revealing the real person behind the Personality!